South Africa's Brandon Stone equalled the lowest round of 60 in European Tour history to win the $7,000,000 Aberdeen Standard Investments Scottish Open by four strokes over the Gullane links at East Lothian today. 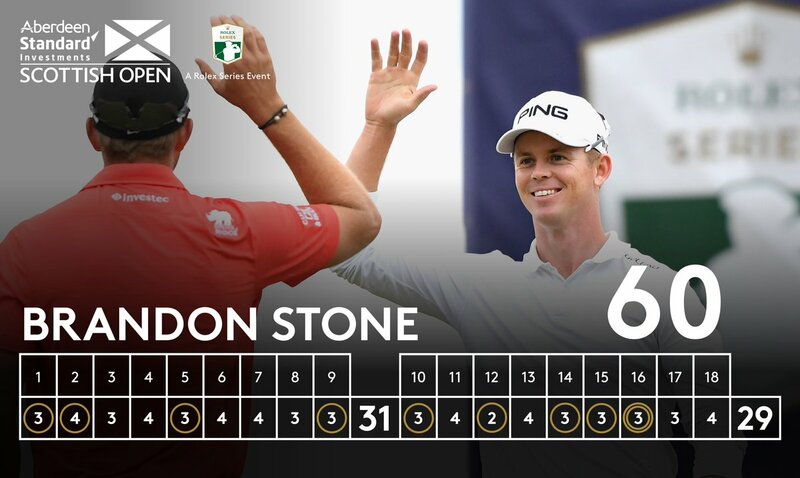 Stone's scintillating ten-under-par effort was almost one better though – he missed from seven feet on the last for what would have been the first 59 in European Tour history. 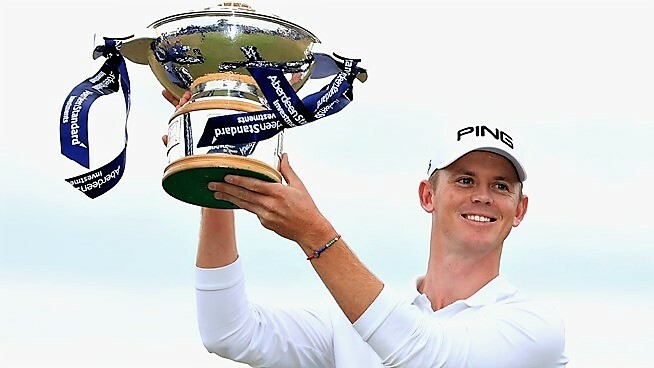 “It was just one of those days where everything went well, hit it great, holed some beautiful putts, and obviously to walk away with 60 having missed an eight-footer was a slight disappointment, but I won't really complain. “My caddie came up to me and said, you don't get putts like this too often, so I let him read it. I said as we walked on the green, I'm not reading this one. This is completely up to you. “I rolled it over his mark, but he did criticise my pace, he said it lacked a little bit of pace. So he probably is right. Didn't hold its line, but we'll take it. “The putt on 16 is pretty much where you could say the tournament was won for me. I felt great. I knew I just needed to make three more good swings, and when that thing went home, the emotions came flooding in. I had to really struggle to keep it in.